It might be enough in life to be the mother of one of the biggest and wealthiest hip-hop moguls the world has ever seen, but not for Gloria Carter. 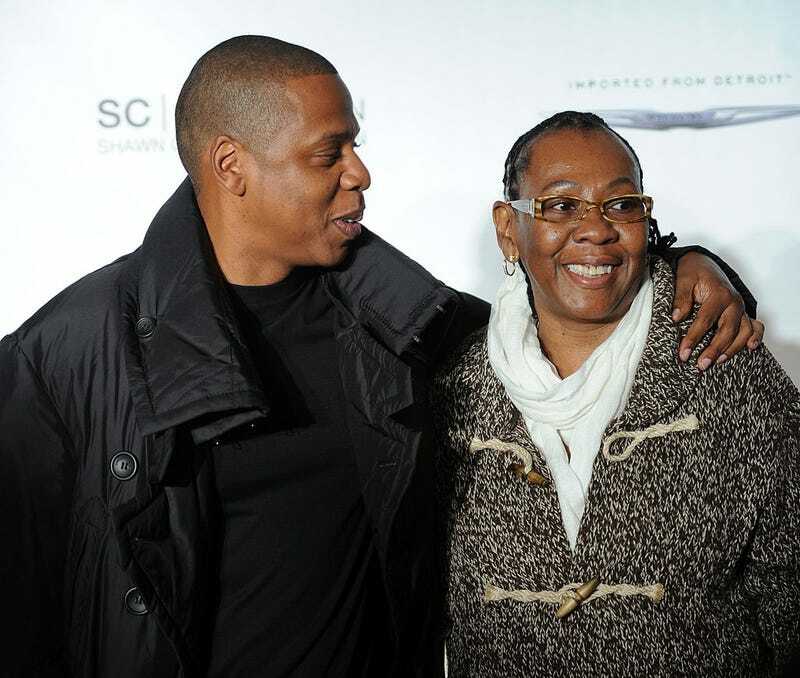 Her claim to fame may be her most celebrated son, Shawn Carter, most widely known as Jay Z, but Mama Carter’s shaking things up on her own through Jay’s Shawn Carter Foundation. She’s got a passion for education, and as such, she has partnered with eBay for Charity for graduation season. Gloria Carter, the SCF and eBay are helping individuals facing socioeconomic hardships further their education at postsecondary institutions by auctioning off some amazing star-studded items. The auction, which kicked off May 15, has provided fans with the opportunity to donate and bid on unforgettable experiences and signed memorabilia from celebrities such as Demi Lovato and Nick Jonas. A full 100 percent of proceeds from these items will benefit the Shawn Carter Foundation. So now when you say, “Heyyy, Mrs. Carter,” you should think of Jay’s amazing mom and the strides she’s making for education. We got the chance to chat with Gloria Carter, and here’s what she told us about the initiative and why education matters. The Root: Why are you a part of this initiative, and what does it mean to you? Gloria Carter: I’m proud to partner with eBay for Charity for this initiative during graduation season to help give young people facing hardships access to higher learning. I believe that you work for what you want—you don’t sit around and wait for someone to give it to you. Once you give someone motivation and a curiosity to want more, and once you see them tap into their own genius, they still need support. People need to continue to be nurtured and supported. It means a lot to be able to bring in a bigger community of supporters with this initiative. It’s my hope that people will visit ebay.com/SCF to be part of this larger community. By bidding on great auction items and experiences donated by some of the biggest names in sports and entertainment, as well as by donating to win a VIP sweepstakes experience at Roc Nation, we can help more underserved students fulfill their educational dreams. Given eBay for Charity’s success with raising over $725 million for charities to date, I look forward to seeing how much we can raise to support the foundation’s scholarship fund and educational programs! TR: Is education truly the key to a bright future, especially in Donald Trump’s America? Why or why not? GC: No matter what is going on in politics, education is always necessary. It assists with problem-solving because you become a more critical thinker. ... Everyone should have the opportunity to expand their world and strive to make it a better place. We all benefit from that. TR: Why is education important, especially for children of color? GC: Education is important for all children and for society as a whole. What we see, particularly with children of color, is that they may not have the same resources or be exposed to the same opportunities. They may not even know that certain opportunities exist. Education is the key to breaking those barriers. TR: What do you think you did right in raising Jay Z? GC: In raising all children, you hope to instill a sense of responsibility, empathy and understanding. I’m proud of all my children. TR: Best lesson you’ve ever learned or the best lesson you’ve taught? GC: The best thing that I learned was you can’t receive and you can’t give with your fists closed, and as long as you’re giving with a pure heart, you are always blessed. Also, best lesson I’ve learned or taught is that sometimes you have to leave your comfort zone to achieve greater things in life. Make sure you check out Gloria Carter’s efforts to raise money for education through the Shawn Carter Foundation and bid before it’s over today, Wednesday, at 7 p.m. PST.